The Navy SEAL’s first female officer applicant has dropped out of the program, according to military news website Task & Purpose. The female midshipman, identified by Military.com in July as a ROTC junior at an unnamed U.S. college, was the elite SEAL Officer Assessment and Selection (SOAS) program’s first female entrant since the Department of Defense lifted restrictions on female applicants for combat arms and special operations forces roles in 2016. Had she completed the three-week course, she would have been eligible for review by the NSW officer community manager and officer selection panel in September and, if selected, received orders by October to report to NSW’s grueling 24-week Basic Underwater Demolition/SEAL training course. “No women have entered the full training pipeline just yet,” a Navy official who declined to be identified told Task & Purpose. “She didn’t make it to BUD/S.” (NSW public affairs officials did not immediately respond to requests for comment). The entrant, one of a handful of female applicants who have applied for elite special warfare roles, appears to have exited the training pipeline after completing just half of the command’s screening evaluations, sources told Task & Purpose. The first weeks of the program, which began on July 24 at Naval Amphibious Base Coronado in San Diego, include physical training with NSW Group 1 and a “mini” version of the BUD/S challenge that awaits the most qualified candidates. Military.com was the first to learn about the unnamed female from a spokesman for Naval Special Warfare Command, Capt. Jason Salata. 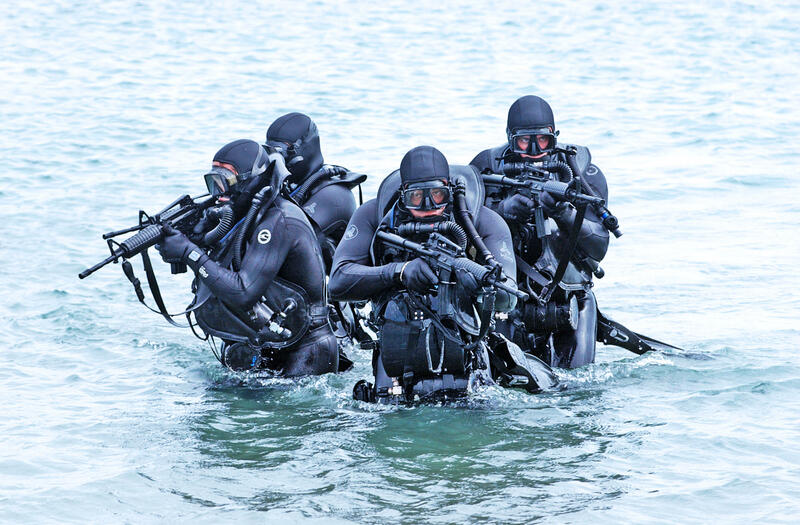 A spokesman for Naval Special Warfare Command, Capt. Jason Salata, confirmed to Military.com this week that a single female enlisted candidate remained in the training pipeline for Special Warfare Combatant Crewman, or SWCC. The accession pipeline for the job, he added, included several screening evaluations and then recruit training at the Navy’s Great Lakes, Illinois boot camp before Basic Underwater Demolition School training. Salata also confirmed that a female midshipman is set to train with other future Naval officers in the SEAL Officer Assessment and Selection, or SOAS, course this summer. “[SOAS] is part of the accession pipeline to become a SEAL and the performance of attendees this summer will be a factor for evaluation at the September SEAL Officer Selection Panel,” he said. Because of operational security concerns, Salata said the Navy would not identify the candidates or provide updates on their progress in the selection pipeline. In special operations, where troops often guard their identities closely to keep a low profile on missions, public attention in the training pipeline could affect a candidate’s career.